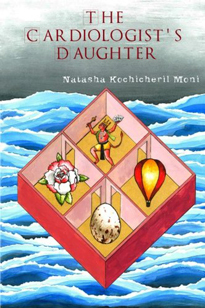 Former island resident and current naturopathic medical student, Natasha Moni is the author of The Cardiologist's Daughter (2014). The book is a collection of poetry described by fellow writer Anjali Banerjee as "both cryptic and conversational, self-deprecating and transcendent – a tender homage to [Moni's] Indian and Dutch family roots and an intense reflection on the quest for personal identity". Moni's writing - poetry, fiction, essays, and reviews - has also been published in a variety of journals. To find out more about her go to www.natashamoni.com.